Even countries that were once viewed as havens for cryptocurrencies – such as Japan and France – are now taking a step back from their embrace of these controversial digital currencies. Japan, for example, has instituted a ban on all privacy coins (such as Monero and ZCash) that will go into effect in mid-June, while France is currently mulling over a proposal to enact a total ban on holding or using privacy coins. 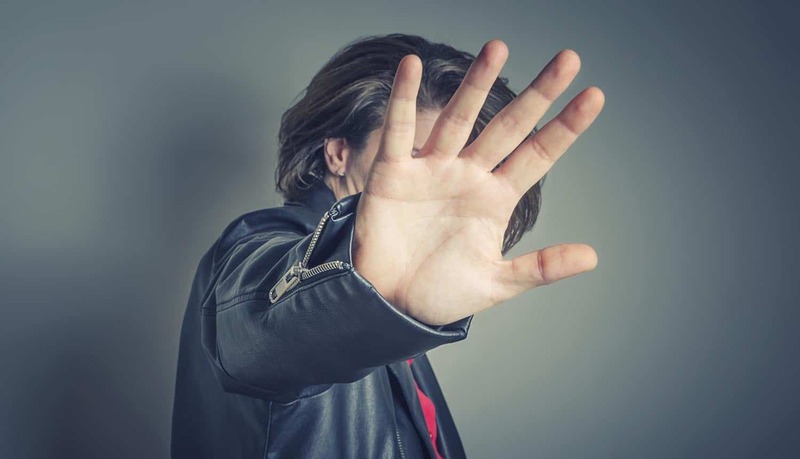 While these outright bans on privacy coins might make it harder for criminals to conduct certain types of illegal activities (such as money laundering), crypto advocates say these bans could actually harm efforts to make privacy a universal human right. The first thing to understand is that privacy coins represent a fundamentally different type of digital currency than traditional cryptocurrencies like Bitcoin, Ethereum, and Litecoin. With privacy coins, for example, users have complete anonymity, and there is no way for regulators or law enforcement officials to track the flow of these coins. In contrast, with a non-privacy-focused cryptocurrency such as Bitcoin, user identity might be anonymous, but it is still possible to track financial transactions to a particular block on the Bitcoin blockchain, and from there, to use other personal information to make inferences about identity. Thus, you can think of privacy coins as adding an extra layer of anonymity and privacy that is simply not possible with a cryptocurrency like Bitcoin. A few years ago, for example, Bitcoin was the crypto asset of choice for anyone looking to make black market purchases of illegal items, as well as the crypto asset of choice for people looking to move money across borders without attracting the attention of regulatory or tax officials. But then regulators and law enforcement officials figured out how to track these transactions. That’s why innovators in the crypto community came up with the idea for privacy-focused coins – according to the way they have been designed, it is theoretically impossible for anyone to decrypt them and find out a specific person’s identity, or to find out where this money exists in the world. As might be imagined, privacy coins have become the subject of abuse by unscrupulous people and cyber criminals within the financial services sector. Consider the case of Japan, which was once viewed as a “beacon of hope” by crypto enthusiasts, a place where all was allowed and actually encouraged when it came to blockchain technology and investing in cryptocurrencies. However, in January 2019, there was a massive hack of the Japanese cryptocurrency exchange CoinCheck, and that has left everyone re-thinking the inability to track certain cryptocurrency transactions, especially those involving illegal activities. Hacking a major cryptocurrency exchange is much like walking into a bank in broad daylight, robbing the vault of cash, and making it impossible for authorities to find out who did it. Privacy coins like Monero and Zcash are gaining notoriety around the globe, too, for their connection to ransomware and extortion scandals. That’s because a privacy-focused cryptocurrency makes it impossible to track where money is coming and going. Everyone has seen a Hollywood movie where those charging a ransom ask for “unmarked bills” that cannot be traced. Well, that’s exactly what privacy coins deliver – a way to make the source, amount or destination of a cryptocurrency transaction completely anonymous. Once you’ve paid the amount, there is no way to get the money back or to find out where it went. One high-profile case in Norway, for example, involves the nation’s richest man, who was forced to pay a $10 million Monero ransom after his wife was kidnapped. Moreover, privacy coins like Monero have a distinctly unsavory reputation, even among cryptocurrency fans. One common hacker technique, for example, is known as cryptojacking. A bit of malicious code is inserted onto someone’s computer (usually after clicking on a certain link found in a scammer email), and that computer then goes to work mining Monero (or other privacy coin). Cryptojacking has become so popular, in fact, that it may have unfairly tarnished the reputation of Monero. Given all of the above, one might ask: “Why in the world wouldn’t nations around the world want to ban these privacy coins?” After all, privacy coins do appear to have created a very dark underworld in the cryptocurrency space, a sort of “shadow financial system” that is everywhere and nowhere at the same time. And, yet, the fans of these privacy coins say that they have been unfairly scapegoated. Privacy coins, they say, represent the ultimate form of user privacy and anonymity. At a time when all activity on social media is being tracked by advertisers, when all communications are being tracked by government surveillance operations, and when all physical activities are being tracked by everyday objects hooked up to the Internet, do we really want the government tracking all financial transactions as well? Moreover, say privacy coin advocates, government reach appears to have extended too far. Case in point: pending legislation that would mandate an outright ban on privacy coins in places like Texas and France could have a chilling effect on cryptocurrencies in general, and not just on privacy coins. For example, in Texas, proposed legislation would impose much more onerous requirements on “non-verified” currencies than on “verified” currencies. Privacy coins would fall into the category of “non-verified” currencies, and in order to use them, people would need to verify the identity of the sender before receiving any payments with them. Think of what would happen if you had to present an ID every time you spent cash at a store, just to verify that you were a certain person! Ultimately, if privacy is indeed a human right, why should financial data somehow fall outside the realm of this privacy right? In a worst-case scenario, an authoritarian surveillance state would always be able to “peek” inside your digital wallet, check to see how much money you had in there, and then to freeze that money at any time that you committed any action that went against the interests of the state. That’s why so many people still like to have access to physical cash – it gives them the peace of mind of knowing that a government regulator or criminal can’t lock down their financial assets (or, even worse, abscond with them entirely). In the modern digital world, privacy coins act in much the same way, allowing people to remain anonymous while also protecting their financial data from mass data collection or government surveillance. From this perspective, it becomes very difficult to ban privacy coins without simultaneously banning certain types of privacy.